There is something about a haunting melody and crushing music to back it up that sends me into almost a orgasmic state of mind. That is why I love bands like Candlemass, St.Vitus, My Dying Bride and Novembers Doom to name just a few. It's the assured power, the intense passion and the depressive tidal wave of heaviness rolled up into one mighty machine of Doom. Ah, is it not wonderful? One of the bands that I have heard periodically over the years is Sweden’s Draconian. Truthfully, this is on really amazing Gothic/Doom that defies all types of description. Deeply haunting, spirit scathing, sullen, depressive, pain filled and having this slow grinding chaos that adds the added punch to a band that is one of the best assembly of musicians ever. This is absolutely dark inspired, soul ripping and addictive. That would be the right amount of terms here. After hearing the album nearly twenty times now (I usually only play it three for reviews), I find myself hesitating to pick any of these songs out to be singled out as being better than any of the others. Every last song is so flawless and strong, it is very clear to me that it would be so unfair to pick just one or two to represent this amazing band. 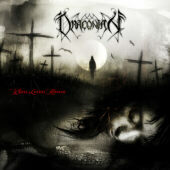 Draconian has made an album that should be in the top ten no matter what year you hear it. This album is filled with intelligent, technically accomplished melodies that instantly stick in your head while they guide you back into its darkness and lead you through the macabre labyrinth of their minds. It already has become one of the few albums that I keep gravitating to playing, and I think that it will become may others as well.